The Japanese economy has suffered from long-term stagnation. Low productivity growth is one of the most plausible factors for this stagnation. Although productivity in the manufacturing sector is not low in advanced countries, there is a large gap in productivity in the service sector between Japan and other advanced countries. However, most executive managers in the Japanese service sector argue that service productivity in Japan is not actually low because service quality is not measured correctly. In response to this argument, I introduce two recent studies on service quality and productivity in Japan based on the two surveys conducted by the Japan Productivity Center (JPC). One is a comparison of quality adjusted productivity in Japan and the US. This study is based on a survey on service quality and price in Japan and the US conducted by the JPC. Once adjusted for quality, the productivity gap in the service sector in Japan and the US shrinks by 10% to 20%. The other is a study on customer satisfaction and productivity using the Japan Customer Satisfaction Index conducted by the JPC. This study shows three findings on service quality and productivity in Japan. First, firms with greater amounts of liquid assets tend to provide high-quality service. This would imply that customer satisfaction is a function of the manageable funds effectively used to accumulate intangible assets. Second, older firms tend to provide high-quality service, suggesting that the accumulation of business experience leads to high-quality service. Third, while we confirm that for a given industry (e.g., transportation) firms exhibiting substantially high productivity tend to obtain high customer satisfaction, we also find that firms with seemingly low productivity attain high customer satisfaction due to, for example, courteous customer service using intensive labor inputs. After studying at the University of Tokyo, Tsutomu Miyagawa joined the Japan Development Bank as economist in 1978. He also worked at the Economic Planning Agency in 1982-84, and at the Development Bank of Japan in 1997-99. 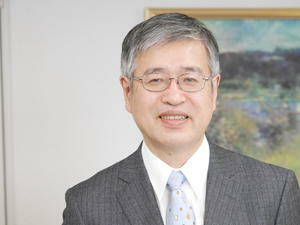 He became Professor of economics at Gakushuin University in 1999, and served as Vice President in 2009-2011. He has been several times visiting professor at Hitotsubashi University, where he received his Ph.D. in economics, and visiting fellow at Harvard University, Yale University, and the London School of Economics.